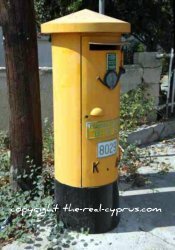 Are you interested in guest writing for our site The Real Cyprus & our social network sites? Are you an aspiring travel writer who would like more exposure for your fledgling career and looking for an opportunity to showcase your talents, about your love for Cyprus both the Republic and the North side of the island? If so then we would love to hear from you. We will consider all articles that meet some specific guidelines for guest writing set out below and in doing so it will ensure a steady flow of traffic to your articles and clicks to your blog/website. The guidelines will help you in your guest writing, to write more specifically for the search engines and your readers. What's In It For Me You Ask? We will offer you up to 2 links you can click at the end of the article in your bio, directly to your site so it becomes a mutual link exchange which is excellent for the search engines and also fair to you. Why would we expect you to do stuff without some kind of return favour for guest writing for us? If you would like to understand more about link exchange, or value exchange as we prefer to call it, and see why linking is so beneficial, you can at no charge download this pdf at any time, and it clearly explains what value exchange is and how and why it is such a successful strategy. Please have it with our compliments. We want to provide accurate and unique information to our 3000, monthly visitors (and rising) so we are quite particular about what we would like to see on the site. The topics should have a good number of searches of 100 or more and not too many sites should be supplying the information, otherwise it will never be found. Please use: Word Tracker, Market Samurai, Brainstorm It or a similar quality programme. The articles need to be unique and only written for this site. We will check on a regular basis using proprietry software for copies elsewhere. Topics need to be relevant to Cyprus or related to it. By that we mean, say you wanted to write about Egypt, it is related in a way because many people visit Cyprus, then perhaps take a cruise to Egypt or a flight to Cairo, so it makes relevant sense linking one place to another. Readers would understand the link. But just writing about Spain as a standalone topic, isn't relevant. 500 to 800 words article is ideal, you can make it longer but not shorter. Search engines visit these parts of the page to determine search relevancy so it can index the page correctly. As we have already said you can include 2 links here and it is the last paragraph in your article. 1 should be a link to your website address and the second an anchor text link. In the body of the article you may link out (to open in another window) to another source of information but not a link to your website. You may not use an affiliate link here or in the body of the article. You agree to create a link to the article from your own website and Twitter, Facebook and other social networks. The more you do the greater the reach of your article. We will post your article on the site, on the blog, on Twitter and on Facebook so we would appreciate the reciprocal action. You need to advise us within 48 hours where the links are or we reserve the right to remove the article from our site(s). Note to major travel sites: - If you would like us to post an article written by your company staff we do ask you either reciprocate with a mutual link or pay for the link on our site which will be a no follow one. We get many requests just to post the article without any link in exchange, and on reflection have decided this does not work for us. Thank you for understanding our terms. You will retain full copyright of your article but grant us permission to use the article as we wish. We will leave your bio box on at all times for publishing. All submitted articles are will be subject to potentially some editing for grammar and punctuation, keywords and spelling. We will also analyze them for keyword density to make sure the text is search engine friendly when we submit them. If you feel you would like to get in touch with us, please fill in the form below with the relevant information we have requested. If you want to just ask us a question first, by all means please do, we are very friendly and would love to hear from you, if you would like to do some guest writing.